for support from their peers & trained facilitators. 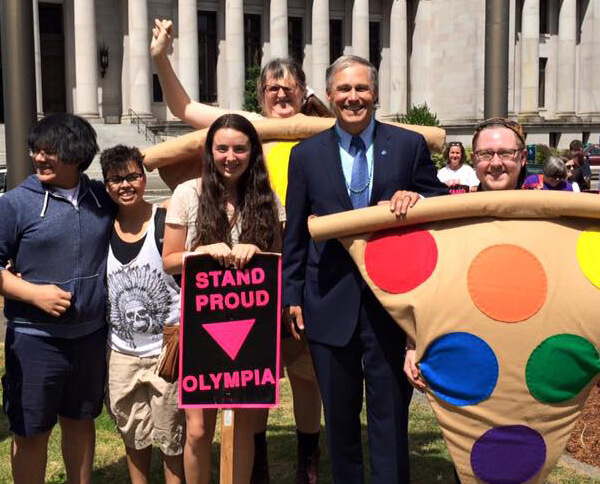 Pizza Klatch works to help youth become resilient, self-advocates. 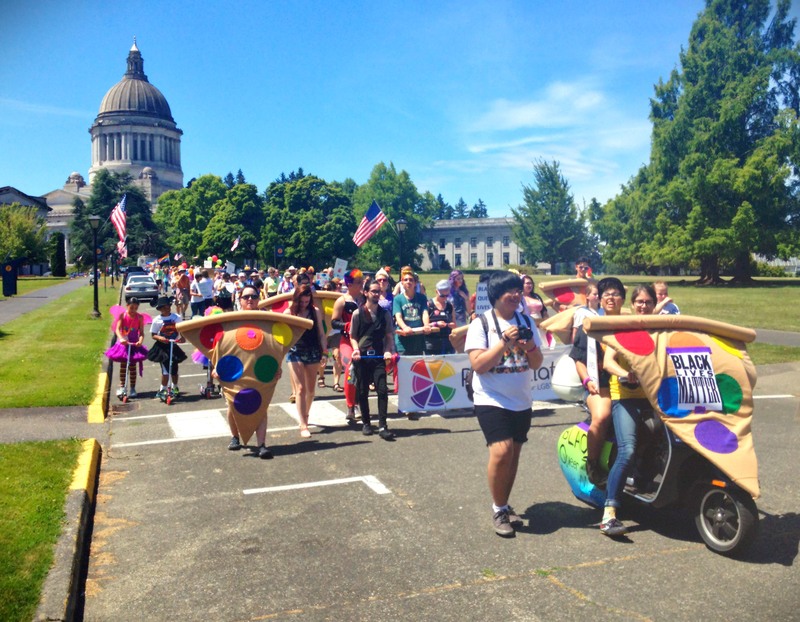 Pizza Klatch is committed to supporting youth participants of all gender identities, sexual orientations, racial backgrounds, abilities and religious beliefs through an intersectional lens. 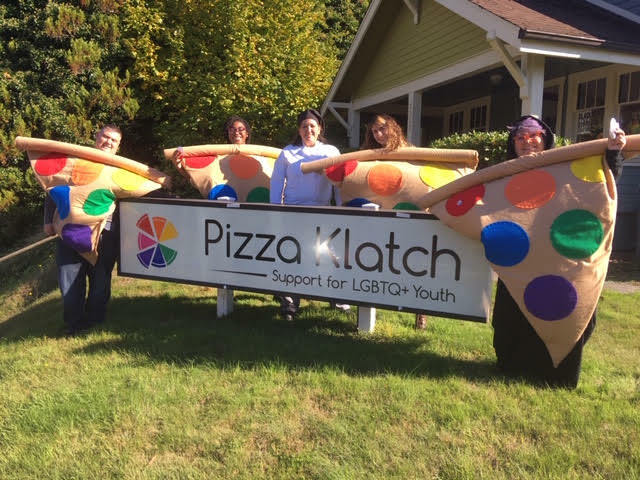 Pizza Klatch offers professional training to school administrators and staff aimed at increasing awareness and improving safety for LGBTQ+ students. Individuals and organizations provide us with volunteer and financial support. We could not do this work without our wonderful supportive community. 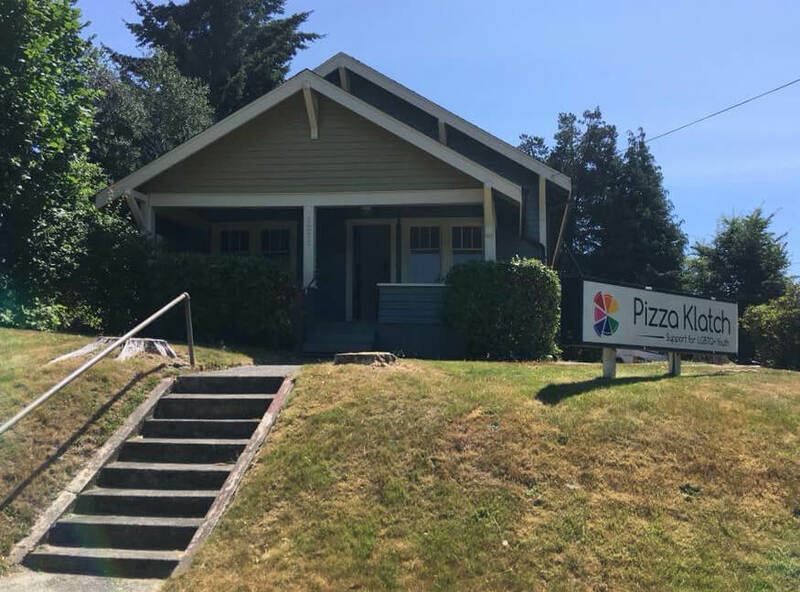 Our new location as of August 1, 2018. Empower LGBTQ+ youth to self-advocate, build community, and develop confidence. 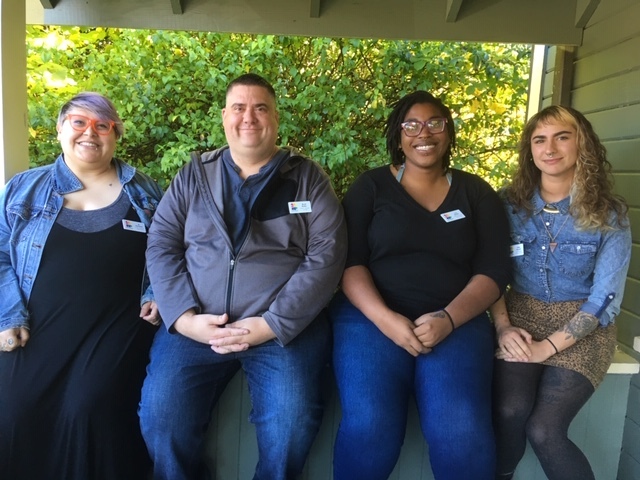 As a facilitator, we’ll train you to provide safe and confidential in-school support groups for LGBTQ+ Youth and Allies in Thurston County high schools. 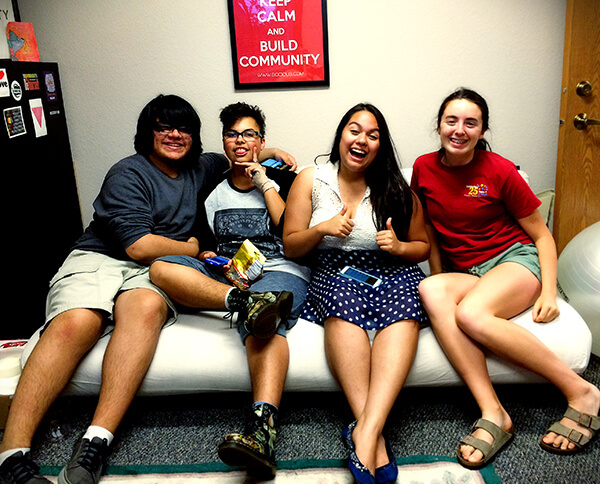 Pizza Klatch brings the pizza, the youth bring their bravery, and together we hold meaningful conversations. Reach out – connect with us on social media.